I have this sweater. Black wool, full-zip style with a high neck. It has cream piping along the sides and the zipper, including the zippers on the sleeves. Its style is timeless rather than trendy. A sweater for all seasons, it’s neither too heavy nor too light. It’s at least 10 years old but its novelty hasn’t worn off. I feel just as good wearing it today as I did that first time many years ago. It’s not the most pricey sweater I own but its value comes not in what I paid for it but in how good it still makes me feel after all these years. When I feel I have nothing to wear, this sweater comes to the rescue. It has grown accustomed to my shape (though it hugs my body a bit more than it used to; whether from multiple visits to the cleaner or weight gain over time I’m not sure). It remembers where my elbow bends but it looks none the worse for wear. I wore my sweater only yesterday, passing on a new purchase for this old favorite. I can wear it everyday and not tire of it. You get the idea. Maybe you have a similar item in your closet. Just like my old sweater, I’ve been in search of a dessert with the potential to become a long-time favorite. 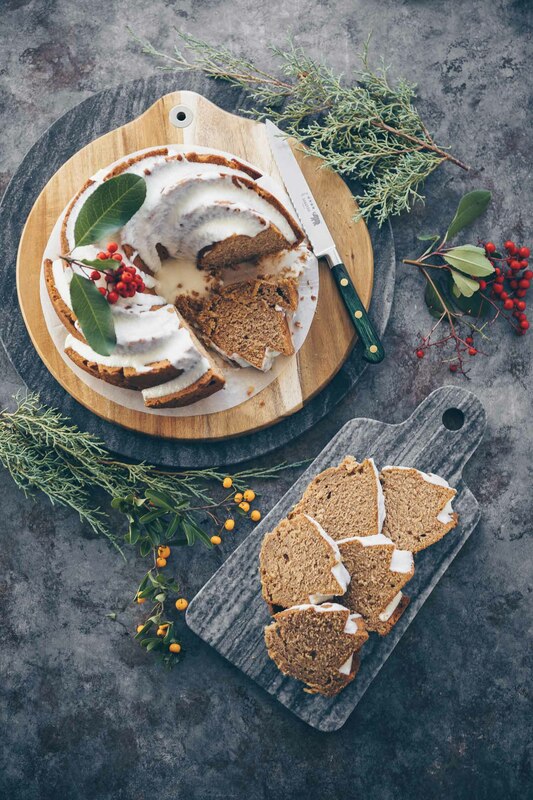 In examining the qualities of this sweater–simple, reliable, timeless and its ability to make me feel good–I wondered if I could find a dessert that would fit the bill just as nicely. But in all honesty, none satisfy like a generous slice of chocolate cake would. And who can indulge in one every night? This is our favorite chocolate cake; it’s indulgent, goes all out. This time, I wanted a cake that we could enjoy more frequently without feeling guilty. One that’s no-frills, easy to prepare but tasty and satisfying. 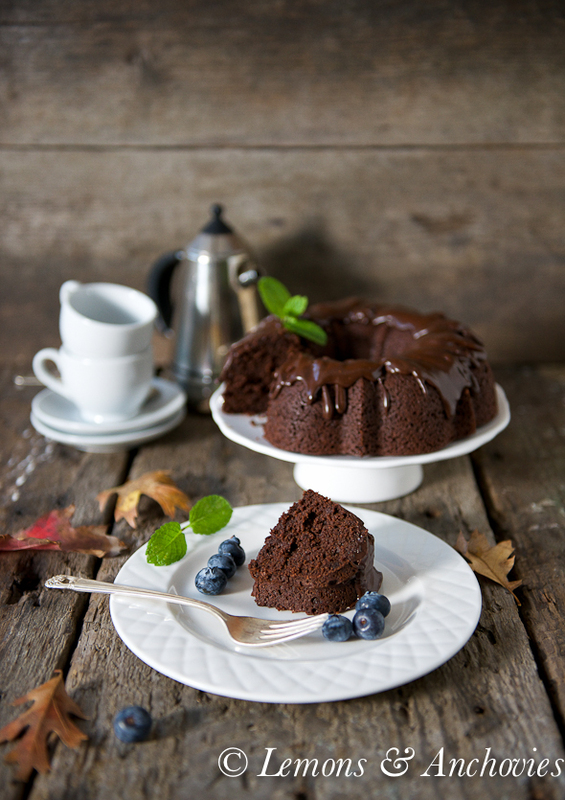 When I came across a chocolate beet cake in a cookbook that features healthier ingredients, I couldn’t wait to try it. But while it replaced white flour and sugar, there was still butter and eggs–and a lot of both. We love desserts using traditional ingredients but I can’t feed my husband too much egg and dairy or I’d have our doctor to answer to. He’s predisposed to high cholesterol so the cake was a no-go. The beet element piqued my interest, though. Recently, I came across this recipe. With some adjustments I had a feeling it might work. I replaced the eggs with an egg substitute, I used puréed, cooked beets rather than grated raw, I omitted the shredded coconut, I added more baking powder and most importantly, I added a simple chocolate glaze to mine. The results? I may have found our everyday chocolate cake. One that, I have a feeling, we’ll be turning to for years to come. The beets are not detectable in the finished cake but they, along with the coconut oil, give it a lot of moisture. I was curious to see how the egg substitute would perform and as you can see, the cake is beautiful and I couldn’t taste the difference. There is minimal sugar here by way of maple syrup so while it is rich in dark chocolate flavor, it’s hardly sweet at all. Even for my taste buds that generally prefer less sugar on desserts, I felt it could have used more sugar but this is easy to adjust. I was pleased to have made the call to add a simple chocolate glaze before even tasting this cake because it provided the perfect amount of sweetness that it needed. The glaze is nothing more than powdered sugar, unsweetened cocoa powder and milk. 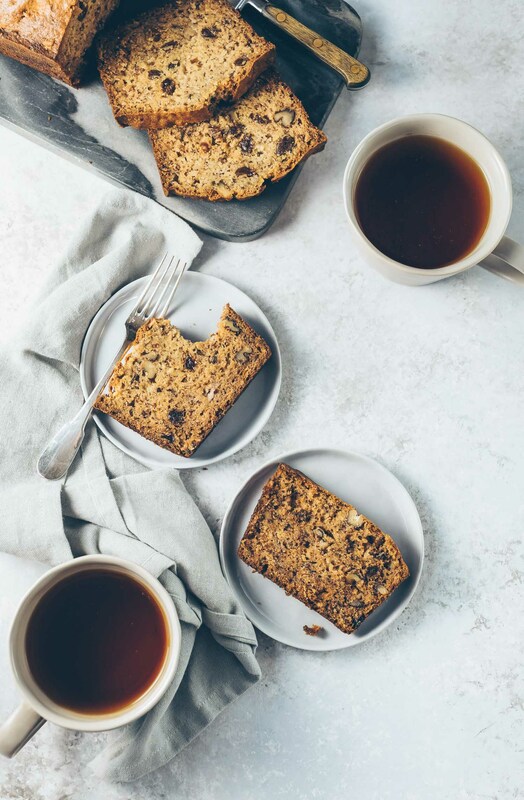 A tablespoon or two of half-and-half is not a factor for my husband but feel free to use almond or soy milk to make this entirely dairy-free. Best of all? It is super easy to put together. 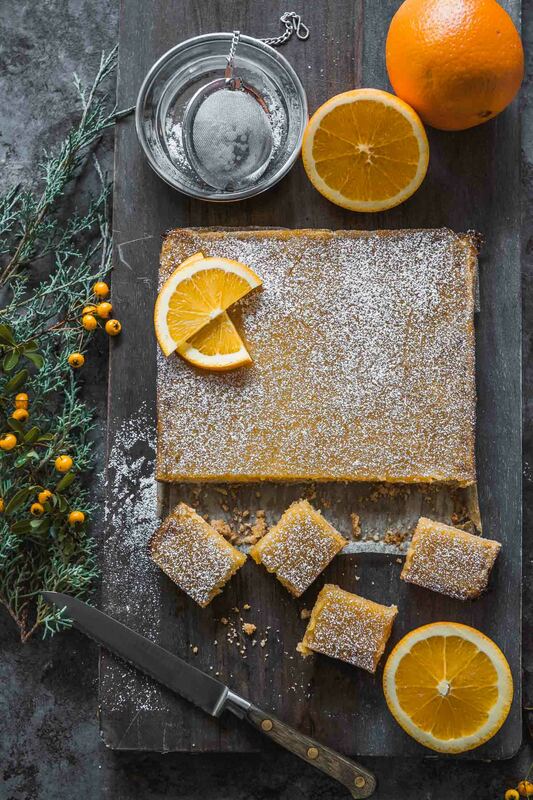 We’ve eaten this cake all week, enjoying the indulgent taste without guilt or growing tired of it. Simplicity, reliability, timelessness and feel good factor? Just like my sweater…check, check, check and check. An everyday dessert. You can indulge your chocolate cravings without the guilt. 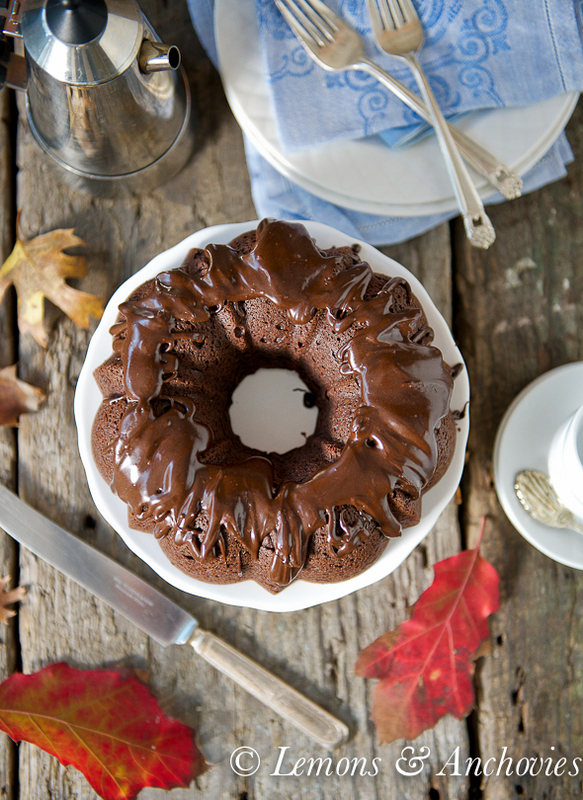 Preheat your oven to 350℉ and grease a 6-cup bundt pan with oil. Pour the coconut oil in a small saucepan and warm over low heat on the stove. Add the maple syrup and the dark chocolate pieces and stir until the chocolate has melted. Remove from heat and add the beets. Prepare the egg substitute in a separate bowl (I use Bob's Red Mill Egg Replacer. One egg is equivalent to 1 tablespoon of powder stirred into 3 tablespoons of water). If using real eggs, whisk the eggs in a separate bowl. Combine the egg substitute (or real eggs) with the oil, chocolate, beet mixture in the saucepan. Whisk the flour, baking powder, 5 tablespoons of cocoa powder and salt together. Stir in the wet ingredients until combined then pour the batter into the bundt pan. Bake for 30 - 35 minutes or until a toothpick inserted into the cake comes out clean. 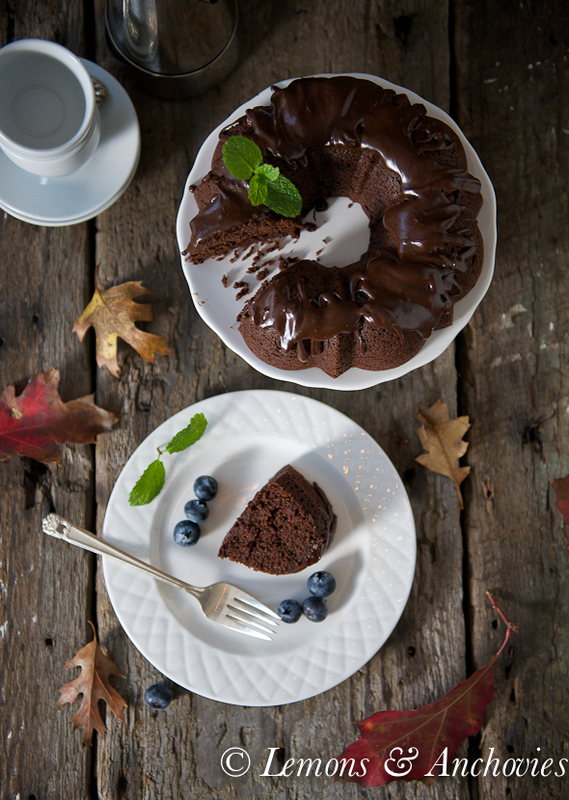 Take the cake out of the oven and let it rest in the bundt pan for a few minutes before unmolding. Prepare the glaze while you wait by combining all the glaze ingredients together in a bowl. Stir until smooth. Transfer the cake on a plate and while it's still a little warm, drizzle the glaze. If the cake has cooled to room temperature, just pop the glaze into the microwave for a few seconds to warm it up so it's a little melty as you drizzle it on the cake. Garnish with fresh fruit before serving if you like. Eggs - feel free to use regular eggs here if they are not a dietary concern. And if you don't have access to Bob's Red Mill Egg Replacer, you can use ground flaxseeds (flaxseed meal). One tablespoon of ground flaxseeds stirred into 3 tablespoons of water is equivalent to one egg. I haven't tried flaxseeds for this cake but I've used it in other recipes successfully. Beets - the prep time is if you use raw or previously-steamed beets. The original recipe uses grated raw beets but since I already had steamed beets, I puréed those and it worked great here. My store also happens to sell already-steamed beets. 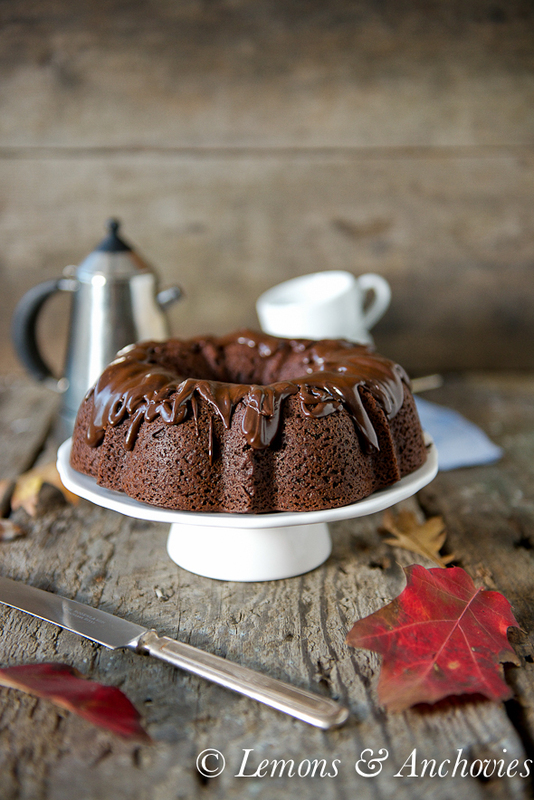 Sweetness - this cake with only ½ cup of maple syrup is hardly sweet at all. The glaze adds just the right amount of sweetness but if you don't plan on using the latter, I would recommend adding about ¼ - ½ cup sugar for a touch more sweetness. Update 11/16/2014: Adding two tablespoons of light brown sugar while melting the coconut oil/chocolate/maple syrup mixture adds just the right amount of sweetness. For convection baking: preheat oven to 350 degrees and lower to 325 degrees at start. Bake time is 33 minutes. The sweater alone sounds comforting to the soul; not to mention all the wonderful foods. A beautiful cake and lovely pictures! Loving it so much! I think this will be my fave, too…you know, less guilty feeling of eating too much chocolate cake. 🙂 And what a thoughtful gift for people who have high cholesterol level. Gorgeous cake, Jean! Love that chocolate glaze! I don’t have a go-to sweater but I do have a black velour zip-up jacket that I tend to reach for when nothing else works the way I envisioned :). Oh, Jean…! I so know what you mean about that sweater (and about it clinging every so slightly closer), and I’m also eager to give this cake a try. Like you, we are often on the lookout for something sweet after dinner (and like you I occasionally resort to cereal!). But this cake sounds just perfect, and like something my whole family would love. And… you’ve already made it dairy free for me!! Thanks! Oh Yeeeeees. Beets! fresh from my garden+less sugar+spelt+ BUTTER+ frosting (extra for my big boys) + my 20 yr.old fave sweater. I chose your blog based upon name and graphics alone,but I’ve stayed for many extra helpings. I love the description of your sweater, I need to see it now! This cake is amazing, I love the flavors and combinations of ingredients. This is definitely a cake I can see myself making over and over again. By the way, your photos are beyond stunning. I think I’ve found my new favorite blog! !